Look out for our yellow tags! Since 1984, Growing Grounds Farm & Nursery of San Luis Obispo has been a local source to many retail locations for top quality plants. A supported employment program of Transitions-Mental Health Association, we are deeply commitment to building a healthier community by offering compassionate and proactive treatment for adults suffering from mental illness. Since it's inception, the Nursery has used a combination of horticultural therapy and vocational training to provide employment opportunities and a supportive environment for personal growth. 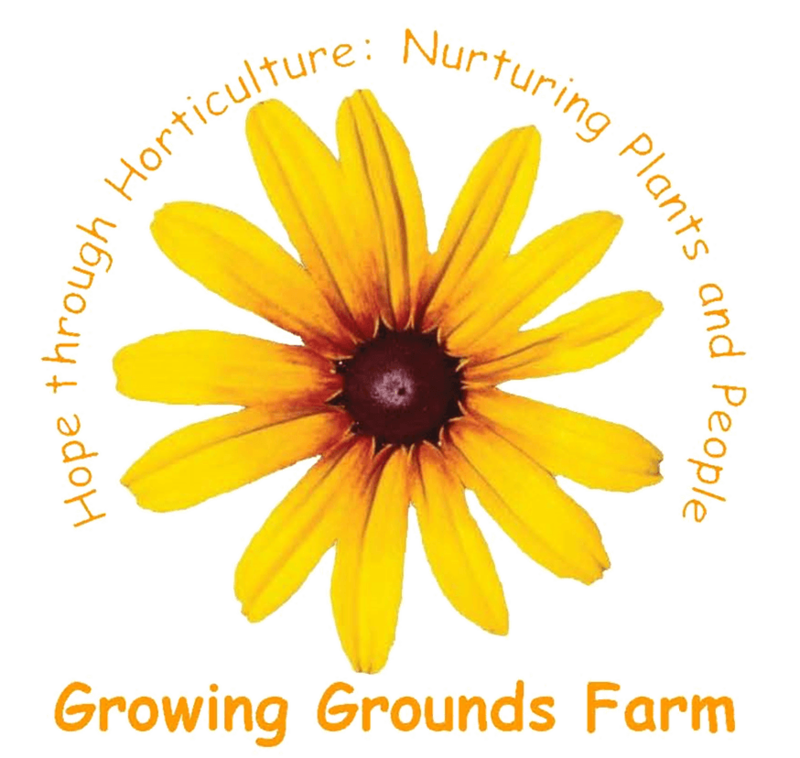 To learn more about Growing Grounds Farm, including a list of our Mediterranean perennials, California natives, succulents, named Irises and more, go to www.growinggroundsfarm.org. Check out the Farm's Facebook page for updated specials, sale items, new arrivals, plant of the week, and other farm-related announcements. And don't forget to look out for our yellow plant tags at local plant retail locations. Our sister businesses are Growing Grounds Downtown and Growing Grounds Farm, Santa Maria. Job-skills training through the use of horticultural therapy. Experience working in a wholesale nursery. Opportunities for job advancement and increased responsibility. Daily contact with an on-site Rehabilitation Supervisor to discuss and create personal milestones related to work, socialization or other areas of interest and concern to the individual. A safe, supervised environment for strengthening social skills among peers. A job and a paycheck. Opportunities for competitive employment within the community through the Supported Employment program. Employees are paid and are involved in every aspect of production—from propagation and seeding to preparation of orders and delivery to customers. Employees work varying shifts, from 3–20, hours per week in an environment that rewards personal growth, responsibility and initiative. Employees perform most of the work at the farm outdoors. The work is physical—at times demanding, rewarding and can contribute significantly to an individual’s recovery. Who Can Work at Growing Grounds? Most employees are referred to us by San Luis Obispo Community Mental Health Services. Employees are diagnosed with persistent illnesses such as schizophrenia, bipolar disorder, anxiety disorder or major depression.